This saying is on a small well-worn piece of paper in my wallet. I keep the little paper right on top of my Florida Bar card where it has been since I was admitted to practice law. In my first semester of law school I was not allowed to work, so we were a little short on money, but my wife and I were able to scrape together a few dollars and treat ourselves to a modest dinner at a local Chinese restaurant. At the end of the meal I opened my fortune cookie and it contained the little piece of paper with the quote. I followed that good advice in law school and I have continued to follow it throughout my career. Indeed, my hard work, and the incredibly hard work of my teammates, continues to show wonderful and indeed miraculous results for me and my clients. Freeborn’s core values resonate with me. The core value of “Commitment” explains our success: We each take personal responsibility to do “whatever it takes” to solve even the toughest problems. I always like to think as I’m working on a Saturday preparing for a trial or drafting an appeal brief that I may not be able to enjoy the weekend, but my client will. Lawrence (“Larry”) Ingram is the Managing Partner of Freeborn's Tampa Office. Larry concentrates his trial practice in professional liability defense, third-party insurance coverage, qui tam and health care fraud, and professional business disputes involving trade secrets and restrictive covenants. In the area of professional liability, Larry’s practice focuses on the litigation and trial defense of professional malpractice claims against insurance agents and attorneys, and has defended in excess of 350 professional liability suits during his career. He is recognized as the preferred defense counsel by a number of insurers, law firms, insurance agencies and the Florida Association of Insurance Agents (“FAIA”). In the area of insurance coverage, he provides counseling and trial representation to insurers in third-party insurance coverage disputes. In this regard, he has successfully litigated numerous declaratory judgment actions in state and federal courts. In the area of health care fraud, Larry has handled the defense of high-profile False Claims Act qui tam actions in which he has obtained summary judgments for his clients. Larry also has extensive experience in litigation relating to professional business disputes including insurer/agency and insurer/insurer contract disputes and the defense and prosecution of restrictive covenant/trade secret cases through jury trial and appeal. 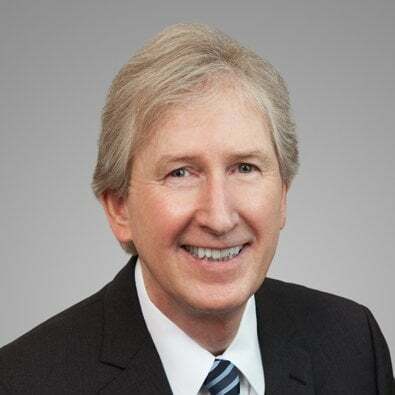 Prior to joining Freeborn & Peters, Larry was a Partner at Phelps Dunbar, where he was the founding partner of the Tampa Florida office and where he also served as the firm’s regional practice coordinator for the Litigation Practice Group, and as the Tampa managing partner for fifteen years. Recently obtained a summary judgment in a high-profile qui tam health care fraud action. Recently obtained a federal court summary judgment in a high-dollar third-party insurance coverage action. Recently obtained a summary judgment for a Florida insurance agency in an alleged negligent procurement case. Recently obtained a summary judgment in a legal malpractice action. Recently obtained a defense jury verdict in a high profile, multi-million dollar legal malpractice trial, which verdict was affirmed on appeal. This case also resulted in a six-figure fees and costs award against the plaintiffs which was collected. Recently obtained a dismissal with prejudice in a multi-million dollar legal malpractice suit. Negotiated favorable settlements in claims against professionals. Obtained dismissal with prejudice in a high-profile qui tam action against a national insurance agency. Obtained summary judgment in two qui tam health care fraud actions against a public company. Prevailed in a three-week trade secrets jury trial resulting in a seven-figure recovery for a national insurance agency. Prevailed in numerous motions for temporary injunction. Negotiated resolutions to complex trade secret and restrictive covenant disputes. Had counseled and handled numerous insurer/agent and insurer/insurer business disputes. Co-Author, "The opioid crisis and the products-completed insurance exclusion," Thomson Reuters’ Westlaw Journal Insurance Coverage, (April 6, 2017). Freeborn Partners Lawrence P. Ingram and Jessica Kirkwood Alley were named in the 2019 edition of The Best Lawyers in America®. Freeborn & Peters LLP is pleased to announce that six of the firm’s Insurance and Reinsurance Industry Team Partners have been highly ranked or recognized in the 2018 edition of the prestigious Chambers USA legal industry guide. Freeborn & Peters LLP is pleased to announce that four practice areas and eleven Partners at the firm have been highly ranked or recognized in the 2018 edition of the prestigious Chambers USA legal industry guide. Lawrence P. Ingram, Jason P. Stearns and Sarah E. Chibani wrote the article “The opioid crisis and the products-completed insurance exclusion,” which was published April 6, 2018, by Thomson Reuters’ Westlaw Journal Insurance Coverage.